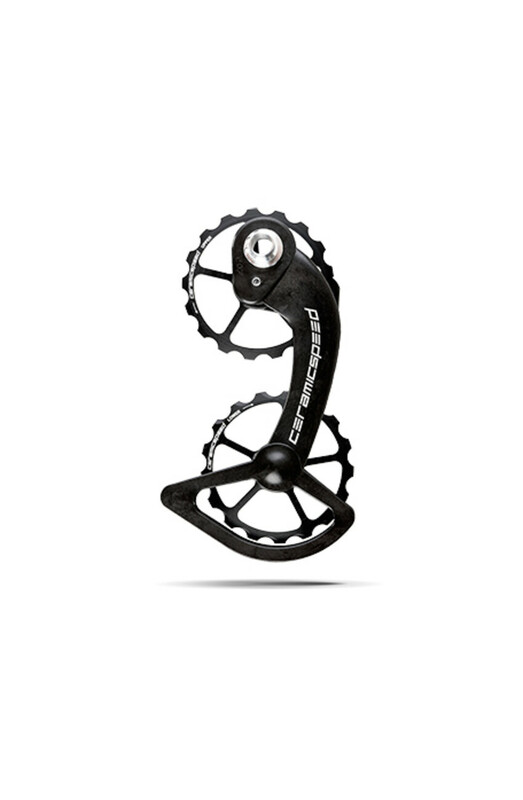 Developed and designed entirely by CeramicSpeed, the Oversized Pulley Wheel System for Shimano is advanced for the optimization of bike performance. Everything from bearings to the cage is made from the highest quality materials. The oversized aluminum pulley wheels are fitted with standard or coated CeramicSpeed Bearings, which reduce friction to the minimum. The overall power savings of the OSPW System for Shimano reach 30%-60% or more in some cases. The OSPW System has a lifetime that lasts 3-5 times longer than the commonly used standard pulleys on the market. The OSPW System for Shimano comes as two different systems, one compatible with Ultegra/Dura Ace (6800/7800/7900/7970/9000/9070), 10s and 11s, electric and mechanical groupsets, and another compatible with the Shimano 9100/9150 series. 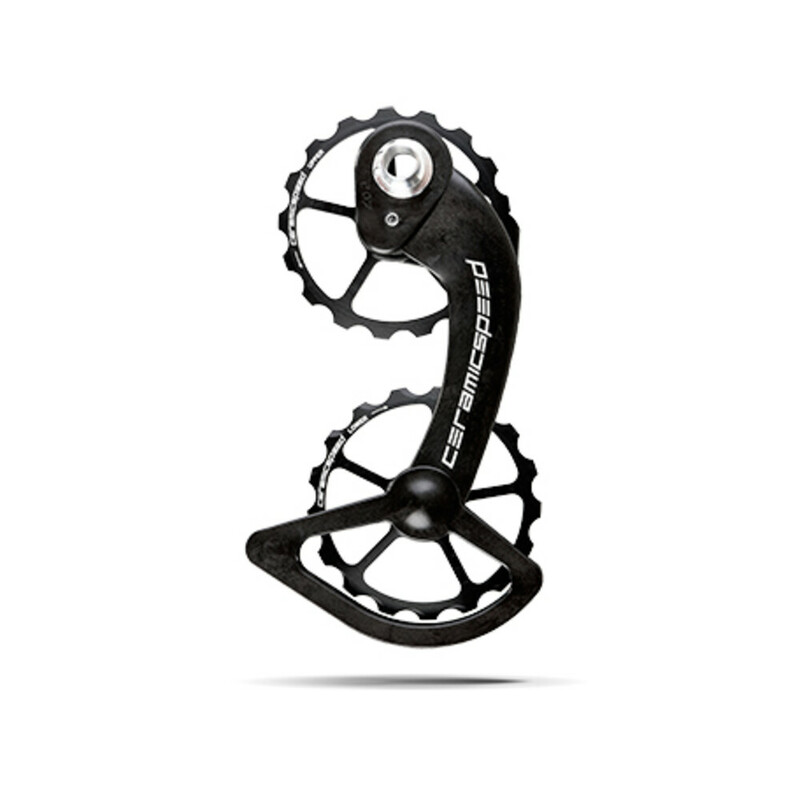 While the first option features a set of two 17-tooth pulleys, the OSPW System for Shimano 9100/9150 features an optimal 13/19-tooth combination specially developed to fit the design of the derailleur. IMPORTANT: When travelling, please remember to dismount your entire rear derailleur with an Allen key, as the OSPW System will not fit in most bike travel bags and could be damaged if left on. The revolutionary OSPW System is developed, produced and assembled by hand in Denmark. The product is the result of an in-depth development process and has been designed for optimal performance. 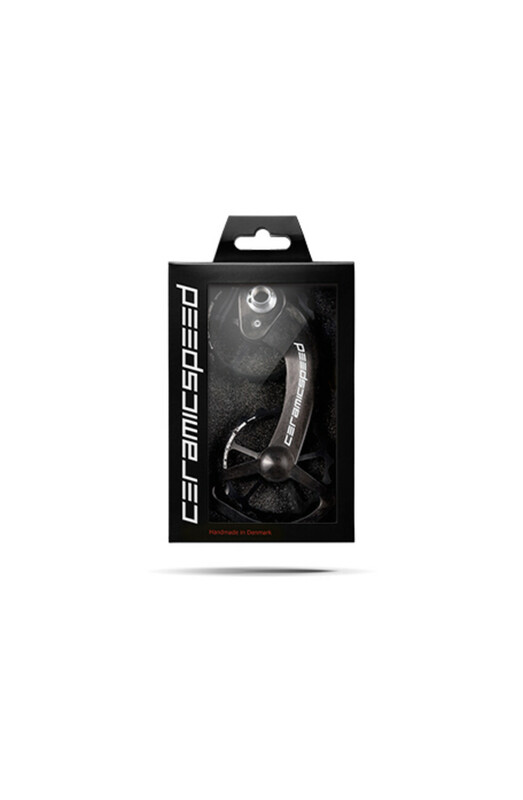 Like all other products delivered by CeramicSpeed, OSPW System has also undergone a thorough test program. We are proud to say that professional triathletes such as Tim Don and Tyler Butterfield have great feedback for the system and, along with Pro Continental teams, they have made it a permanent part of their equipment. Regarding the maintenance of your OSPW System, it is important that you properly lubricate your bearings in order to ensure optimal performance and maximum longevity. Add oil by using the lubrication points on the back cage plate, so that oil can penetrate the bearing. Do this when you lubricate your chain, if you have washed your bike or after riding in wet or muddy conditions.